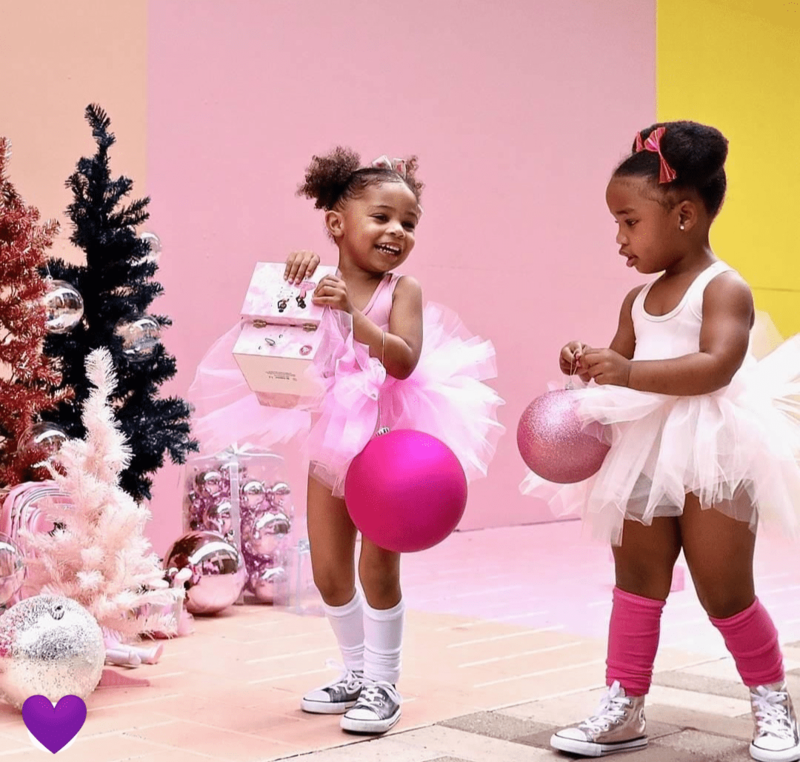 Six months ago, Kim West took over our Instagram account to share the behind-the-scenes life at KIDS SWAG: a children’s apparel and toy company she created to help black children see themselves represented. 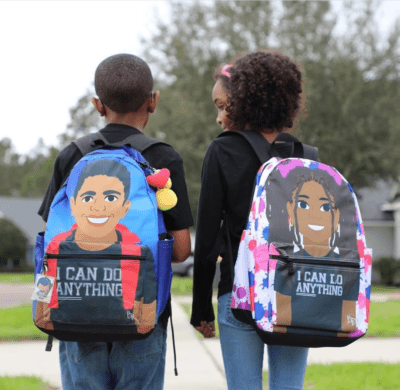 From I CAN DO ANYTHING backpacks, featuring illustrations of black children, to black dolls like the Nia Ballerina, and Super Me T-shirts, we fell quickly for the products, Kim’s passion, and the important message behind KIDS SWAG. Still, when you hit the doll section in a toy store, or the kids’ lit area in a bookstore, children of colour are underrepresented. Next time you’re wandering the aisles, do a scan and take note, or make a point of eyeballing the library at your kid’s school. Until then, read about Kim’s story, and consider the positive, cute offerings from KIDS SWAG for your holiday shopping. SDTC: What was the job you had before you started your business? KW: I was on maternity leave when I started KIDS SWAG. Now I work as a Product Marketer for a tech firm while running the business. For my girls. I have two girls (6 and 2). I know the value of feeling represented. 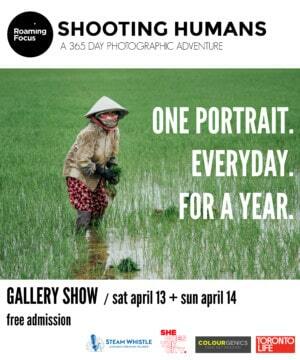 Growing up in Canada, it was rare that I saw people that looked like me. It made me feel like there were certain things I couldn’t do because I was black. 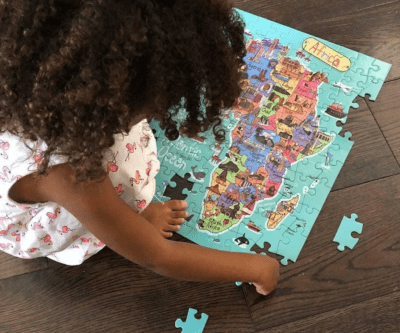 I did not want my girls to develop this unconscious bias about themselves, and I wanted to ensure other children of colour also didn’t feel this way. Seeing yourself represented builds confidence. It’s an essential skill in building one’s career and desire to try new things and positively contributes to society. Confidence is the key ingredient I recognize in all the people I admire, and it has helped me navigate and grow my career and business. There are so many moments that make me beam with pride. The biggest I would say is that I didn’t get in my own way. I could have over-thought how to get started or made valid excuses as to why when I started wasn’t a good time, but I jumped in and committed to learning along the way, and it’s immensely satisfying to know something I thought about is real and is so well received. I am truly grateful. What are your hot sellers for the holidays? Gift ideas that you’re excited about? The top holiday best sellers are our Clarence Claus wrapping paper and Nia Ballerina Jewellery. New to the store this year is our Christmas collection of plates and our African-inspired Nana Dolls, each representing a queen from a different country in Africa. Motherhood is the only reason my business exists. Through my daughters’ eyes, I see such hope and wonder. Everything I do is to nourish their soul and spirit. 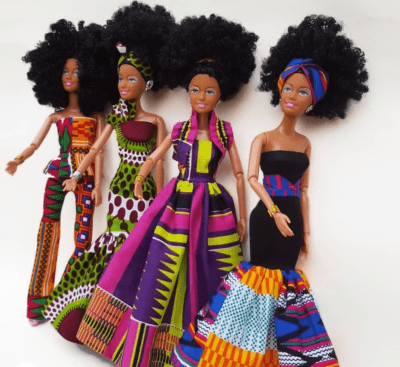 I was searching for the products in my store for my own daughters and experiencing the struggle of scouring the internet to find products that reflect their beauty and culture. I knew I needed to make it easier. I’ve learned to prioritize myself. I love my business, but I also work full-time, I’m married, and I’m raising two girls. I wasn’t allowing enough time for me. I was pouring everything into everything else but myself. It’s a work in progress, but I’m now [finding] the time to take a break. I love putting up the Christmas tree. We’re probably a super early household, but the Christmas tree goes up the first week of November. We play music, we have a dance party, and the girls get to hang their ornaments on the tree. They get so happy and excited. It’s a great way to kick off the season. Check out KIDS SWAG now and find some awesome gift ideas for the holiday season!